Yet again! another vest dress. 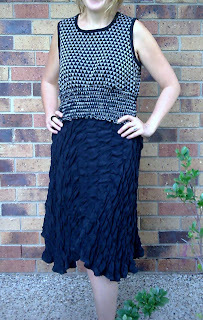 This one is made from a vintage vest in black and silvery thread. Its got a lovely stretchy shirred waist. To this I attached a silk ruched skirt that has hankie hem. Both have the same diamond pattern on them and the skirt is lovely and swishy. Slowly but surely im getting some things to list in my etsy shop 'fluffnnonsense'.............watch this space! I think I'm jealous. You are so creative! 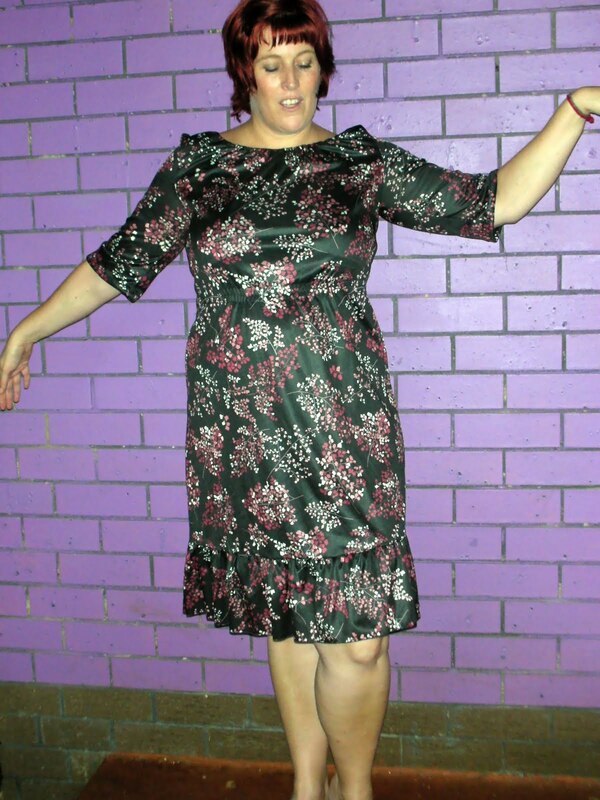 I love dresses, and look forward to visiting your etsy shoppe.